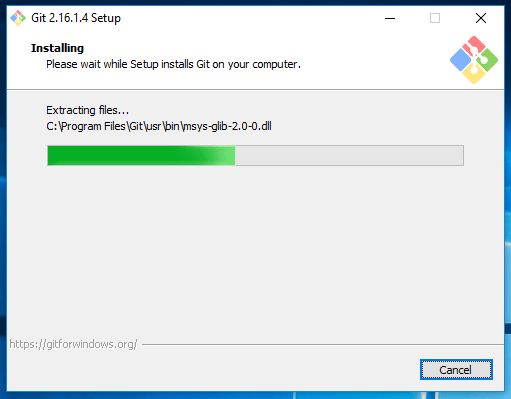 In this tutorials, I am going to show you how to install git on windows 10 operating system. Download the Git from official web site git-scm.com, and download the latest version of Git. 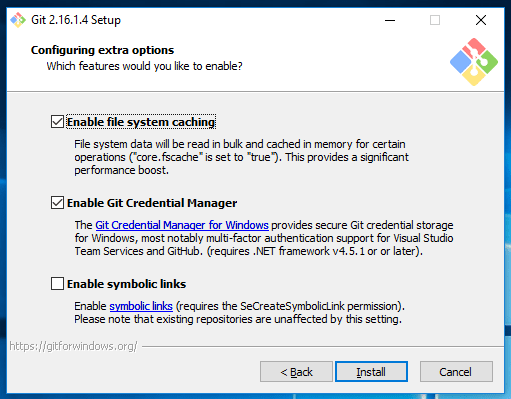 For me it is Git-2.16.1.4-bit.exe version and follow the below simple steps to install git. 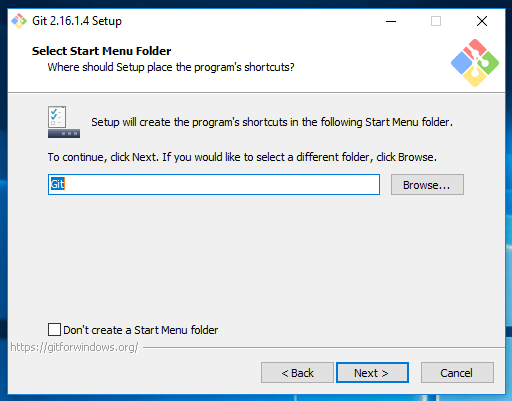 Right click on downloaded Git file and run as administrator, then you can see the below information dialog to go further installation. 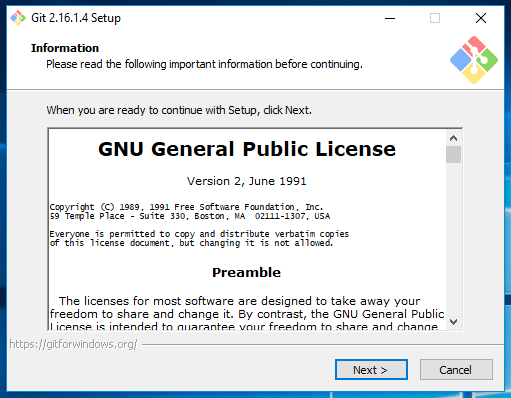 Read General Public Licence and click on Next>. It will ask for Git installation directory by default it will be in C:\Program Files\Git, you can change if you wish. 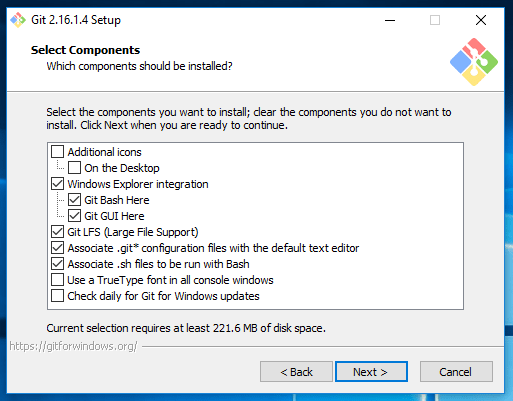 This step allows you to select the git components which you want to install as part of the git installation. Above selection is recommended, those recommendations bring you Git GUI and Git Command prompt. 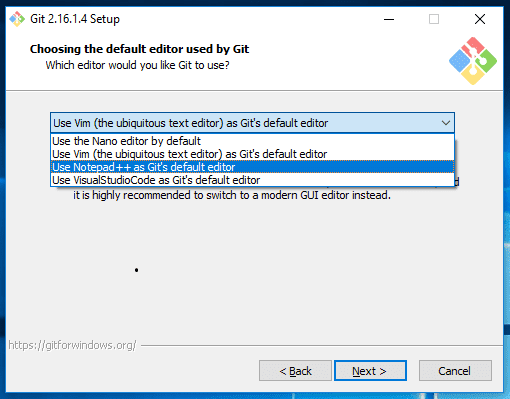 Choose your favorite text editor to work with Git. 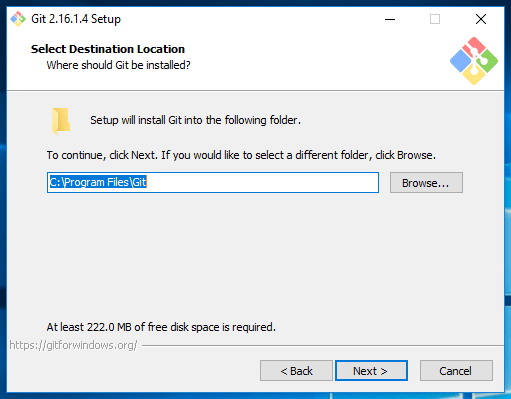 This dialogue asking you to how do you want to use git to set the PATH, go with the recommended option. 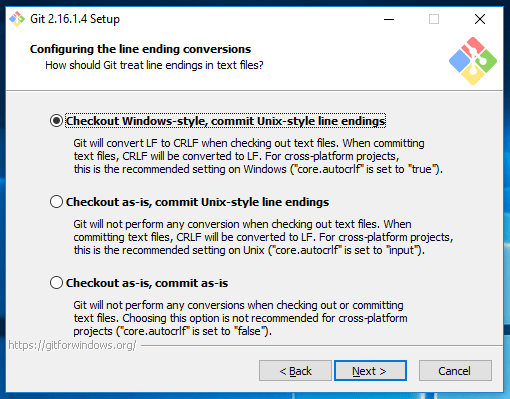 By choosing this step git automatically set PATH for you. I will show you how to see the generated PATH at end of this article. 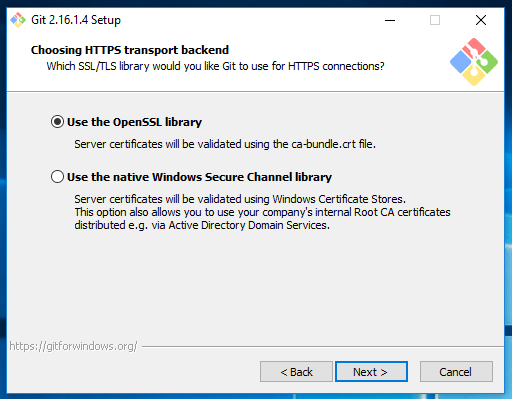 Choose for HTTPS transport, leave it as default. Configuring the line ending conversions, leave it as default recommendation. 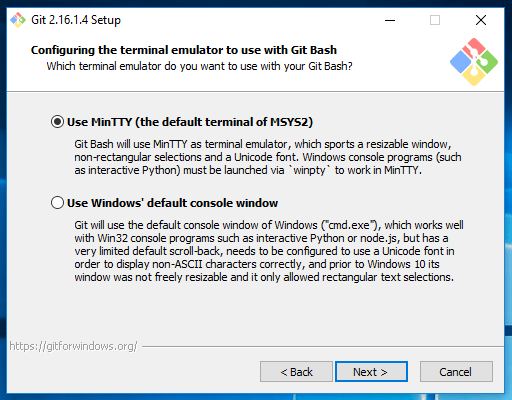 Choose for the terminal emulator to use Git Bash. This allows you to enable extra features. Select below recommendations. If everything is done well you can see the below information. 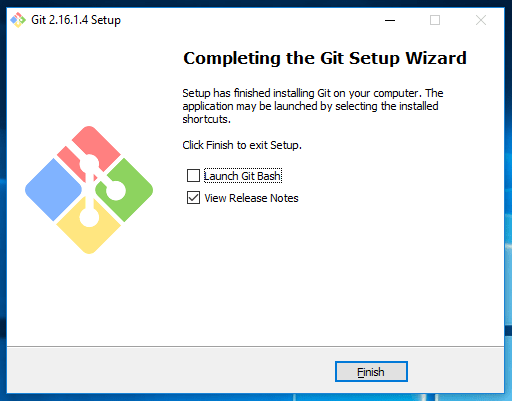 Now you are able to install the Git on Windows 10 operating system. 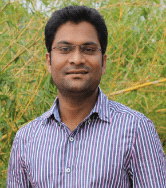 Check whether PATH has been set or not. 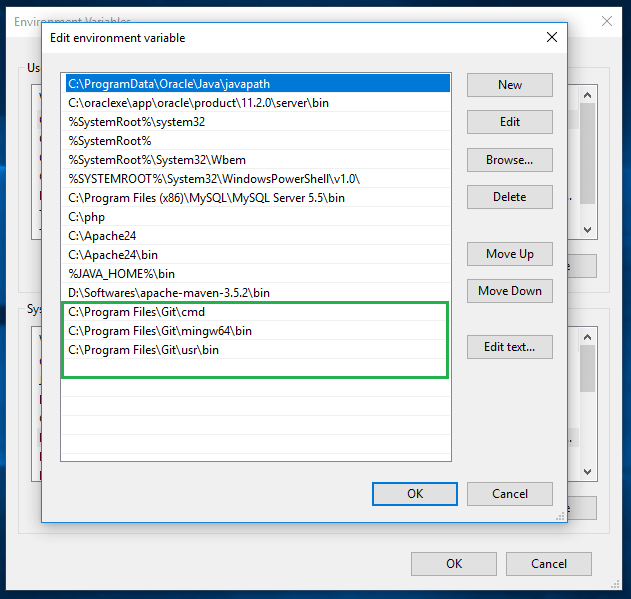 Advanced System Settings > Environment Variables > System Variables > select Path and click on Edit. You can see the below git paths. 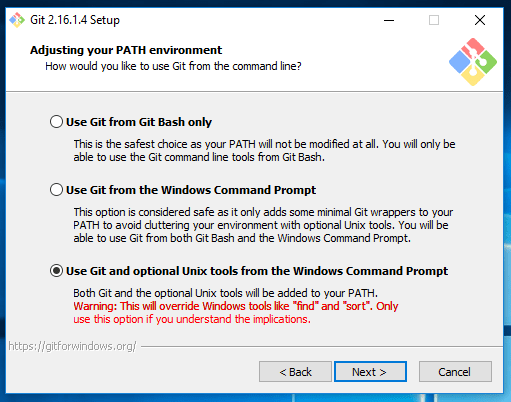 Open command prompt and type git –version, you should see your installed git version like below. Now you can confirm that git has been installed successfully on your machine.